Good to see you again with your blights and swampland and desert and snakes. 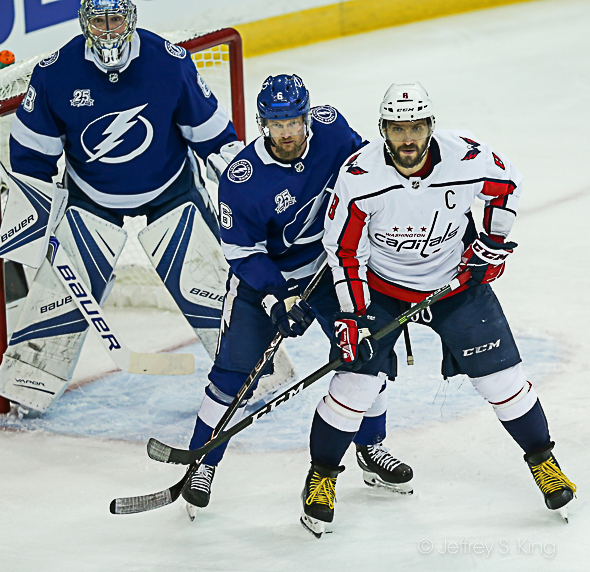 The Tampa Bay Lightning, a team you might have believed had progressed to a point where a game such as this was no longer possible, humbled and embarrassed itself once again Friday night, losing a 4-2 game to the Washington Capitals. Jon Cooper, it was worse than the 6-2 drubbing the Lightning absorbed in the first game of the Boston series. And so the doubts have returned. 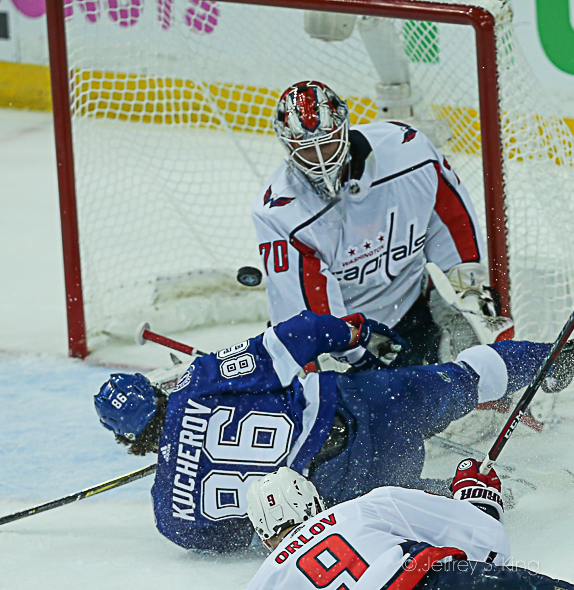 About goaltender Andrei Vasilevskiy, who was pulled after two periods trailing 4-0. About the improved team passing. About the defense. About the balanced attack. About all of it. It was as if the Lightning had no idea of how to play an opponent without a B on its jerseys. All the efficiency of the last round jdisappeared, well, with the last round. "They were playing in the Eastern Conference finals," said Lightning coach Jon Cooper said, "and we were playing game 38." And perhaps that was the most damning thing of them all. 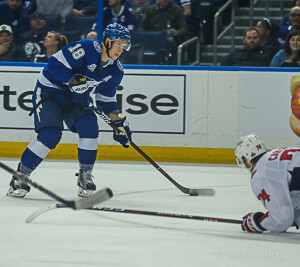 The Lightning played without urgency, as if it had to skate across the ice and its opponent would fall away. "You've got to bring it," Cooper said. "We're in a conference final, and we just didn't treat it that way. I'm not taking anything away from Washington. They came out and executed their game plan. They played simple. They earned their breaks, earned their power plays. And we didn't. "You can play the perfect game and execute your plan and not win. But you're giving yourself a chance to win. When you do this, you're giving yourself zero chance to win." The Bolts had spoken about starting this series differently. But the Caps played like a team with nothing to lose. 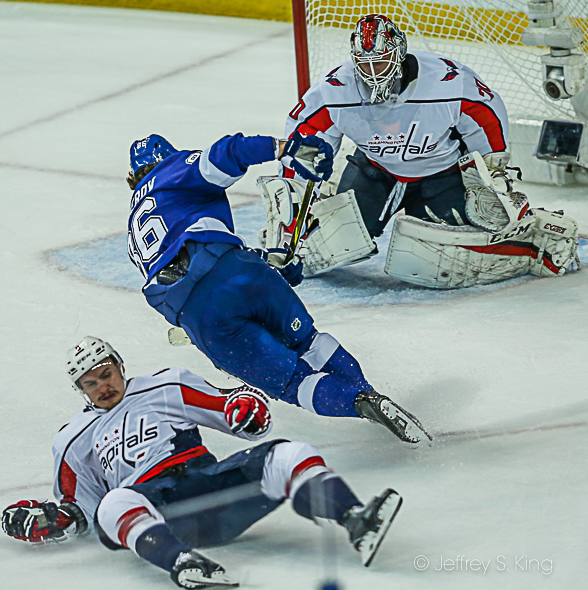 "We didn't execute our game plan," captain Steven Stamkos said. "We didn't execute making the right plays when we had the puck. That's a good hockey team over there. It outplayed us tonight. Kucherov crashed the net and evidently scored. But the Bolts were called for six men on the ice. 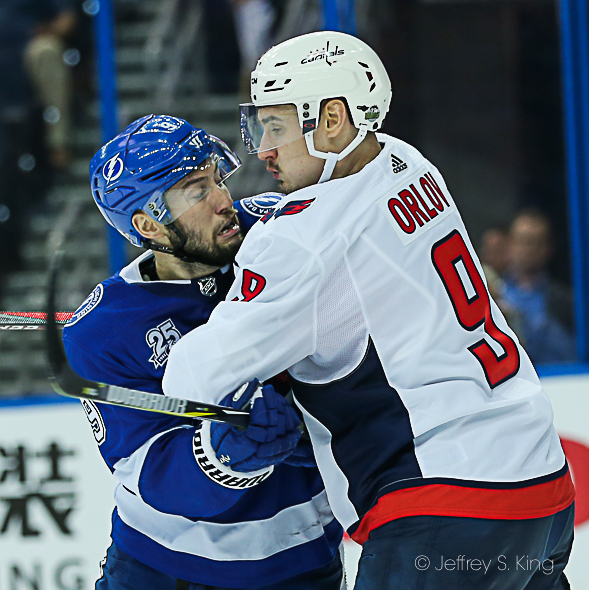 The team had no problem with that -- "It was six men by a mile," Stamkos said -- but on the ensuing power play, the Caps scored in only two seconds. 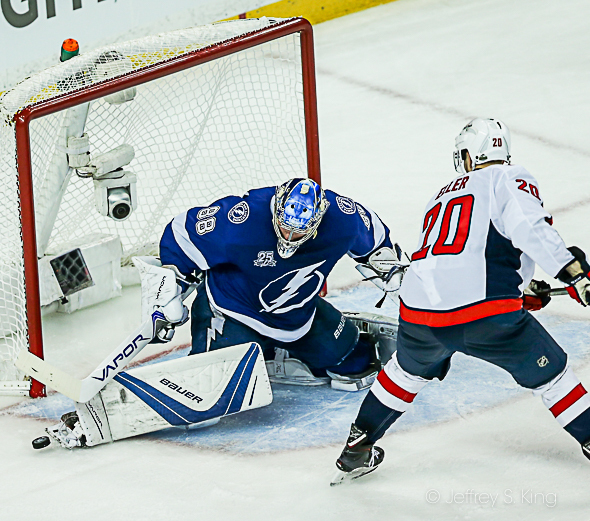 The Caps won the face-off and got the puck to Alex Ovechkin, who scored to make it 2-0. The Bolts didn't try to hide behind their third period. They did admit that Ovechkin's goal made a difference. So what do the Bolts have to do in Game 2? It's more complicated than last series. 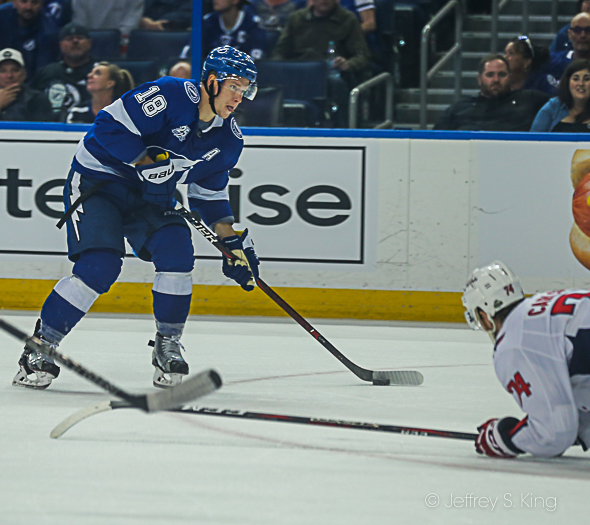 Then, the Bolts needed Brayden Point's line to come alive. This time, it's style of play was lacking. "Whatever we did tonight, we have to do the complete opposite on Sunday," said defenseman Dan Girardi. "We didn't play our game at all. They did what we should have done. They were on us. They had a lot of o-zone time." Of course the Lightning will point to its last series, when it lost a 6-2 game to Boston and then won four straight. This was worse, however. "Unlike Game One against Boston, where we did a lot of good things and no- chanced them. I didn't think that was the case at all," Cooper said. "They outplayed us, they out-chanced us, they outscored us. They out \-everything us." Can you imagine the Bruins as they watched this one. "That team beat us four straight," they must be saying. "For whatever reason," Stamkos said, "they were quicker to pucks, they were more disciplined in their structure. They were better on special teams. That's a pretty good recipe to win." 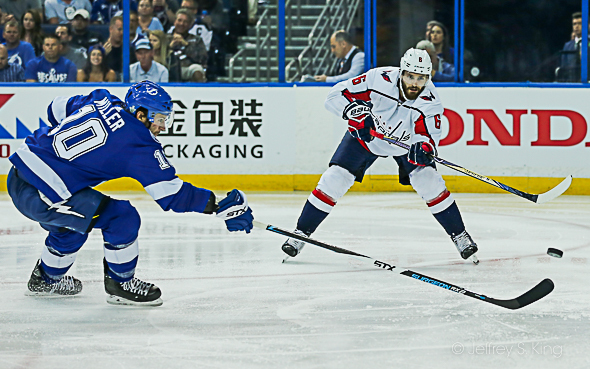 The Lightning will try to get back into the series on Sunday night (8 p.m.) when they face the Caps in Game Two. Sunday night will be huge. I do think this is a team that needs to be sharp mentally, and it wasn’t. It’ll be a tough series if they can make it one. Oh well…here we go again! I hope this is part of a pattern to loose one and win four straight! This feels different though. This one may go 7 games. The Bolts will have to have a strong recovery and the stamina to keep in the running! It looks like Vegas is going to be the team to beat! These are all good hockey teams we are seeing here. Lots of talent on both sides of the puck! The team that wins the Cup will be the one with the most want to! Talent and skill may take a back seat! GO BOLTS! It isn’t supposed to be easy, is it. It’s for a championship. Next post: Ask Gary: Is there a bigger challenge than Bruins?